While the EQ-i 2.0® identifies the level of a cli­ent’s emotional and social functioning based on his or her responses, the EQ 360 assess­ment provides a more in-depth analysis by having those who work with the client pro­vide information as well. When observer rat­ings are compared with the results of an EQ-i 2.0 self-report, a more complete 360 degree profile emerges. The Workplace EQ 360 Report includes not only the feedback of all the raters, but also the feedback of the participant — all in one consolidated report in both and client and coach’s version. This saves the participant time and effort in working through multiple reports, and it allows for better comparison and understanding of the feedback received. Reports are structured in a very clear and linear manner that is easy to follow and reference — making the Workplace EQ 360 an entirely positive user experience for the client. The Workplace EQ 360 features a one-page over­view, as well as providing a gap analysis which is a visual representation of the ratee’s responses directly compared to the responses of the nominated raters. The gap analysis points out the areas where there is a high versus a low level of agreement between the ratee and the raters, and it high­lights potential blind spots. The EQi 360 provides comprehensive 360 degree rater feedback on the same emotional intelligence items as the EQi 2.0. As such it is highly regarded in developing an even greater sense of self and interpersonal awareness. We have offices in Albury Wodonga, Melbourne and Perth but can travel anywhere within Australia to deliver this program. The EQ-i 2.0 measures the interaction between a person and the environment he/she operates in. 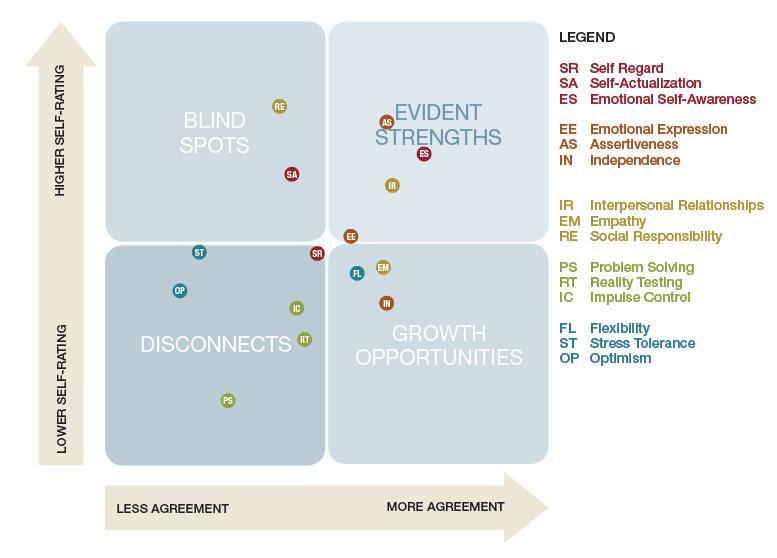 The EQ-i 2.0 Assessment identifies a range of development opportunities for an individual. This, along with the targeted strategies it provides, makes it a highly effective employee development tool. © 2017 Lingford Consulting Services Pty Ltd.